MALONE — A judge ruled Wednesday that the state’s plan to build a 34-mile rail trail was “arbitrary and capricious” and failed to follow numerous state laws. “The 2016 UMP [unit management plan] is annulled and vacated, in its entirety, and in each and every part,” acting state Supreme Court Justice Judge Robert Main Jr. informed the state departments of Environmental Conservation and Transportation and the state Adirondack Park Agency. The Adirondack Rail Preservation Society, which operates tourist trains under the Adirondack Scenic Railroad name, sued the state in April 2016. The lawsuit stemmed from a plan by the DEC and DOT, and approved by the APA, that would have removed 34 miles of train tracks between Lake Placid and Tupper Lake and replaced them with a multi-use trail. The plan also called for another multi-million-dollar state investment to rehabilitate 45 miles of railroad tracks from Tupper Lake to Big Moose, allowing passenger trains to operate between Tupper Lake and Utica. The railroad in question runs 141 miles between Utica and Lake Placid, and the state owns the 119-mile majority between Remsen and Lake Placid. ASR, under lease from the state, has run tourist trains between Utica and the Old Forge area since the early 1990s, and from 2000 through 2016 also ran them also between Lake Placid and Saranac Lake. After several years of public hearings, comment periods and review by state agencies, the APA approved the 2016 plan as an amendment for the Remsen-Lake Placid Travel Corridor UMP. The revised plan split the corridor into two segments, with Segment 1 running from Remsen to Tupper Lake and the trail making up Segment 2. The DOT oversees travel corridors, such as roads, highways and train tracks, in the state, and the DEC generally takes care of trails and outdoor recreation, especially within the Adirondack Park. But to facilitate the construction of the trail, the DOT, under a memorandum of understanding, passed off management of Segment 2 to the DEC while still retaining ownership of the corridor. The judge found that removing railroad infrastructure to construct a trail would effectively remove Segment 2 from Remsen-Lake Placid Travel Corridor designation; therefore, such a use could not be allowed in a unit management plan for the travel corridor. Another point of contention in the lawsuit was that the plan violates historic preservation laws since the travel corridor is on the state and national Registers of Historic Places. The state had argued in its planning process that it would honor the history of the line through a number of interpretive displays along the length of the trail. The state submitted a letter to the court saying it would work on a more comprehensive preservation plan. The third main obstacle to the state’s plan is that it doesn’t own all the land the corridor crosses. During the early parts of the lawsuit, it came to light that the state did not own about a half-mile of the corridor through the North Country Community College campus in Saranac Lake. In the past few months, the state has worked with the college and the counties of Essex and Franklin, all of which jointly own the land, to purchase the parcel or gain access for the trail, with the DEC going so far as notifying the Saranac Lake village board of its plan to buy the land. At the Lake Placid end of the line, the Lake Placid-North Elba Historical Society owns the last bit of tracks and the train depot. The state acknowledged this and said the trail would simply end at the property line. However, the judge found this lack of title to the entire corridor to be another fatal blow. “It is, thus, likewise undisputed that the 2016 UMP is based upon mistaken information, assumptions, and beliefs,” he wrote. “That such a reasonable and appropriate title review, which is basic and ordinary legal research, did not occur until after approval … is inexplicable. A DEC spokesman said the agency will put out a press release later Wednesday and declined to comment further. The railroad’s public relations director, Mark Piersma, said the mood at its office was “ecstatic.” ARPS put out a press release shortly after news of the decision broke. 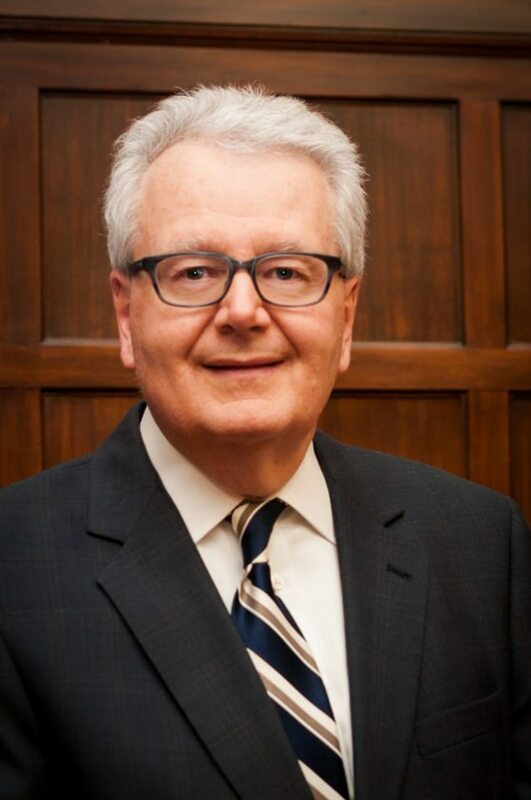 “ARPS believes that Judge Main has taken a balanced and objective approach,” the press release said. “It is unclear, at this time, whether NYS will appeal this ruling. ARPS was denied an operating permit for the northern end of the line this summer. Piersma said the railroad has made no decisions about its next steps, including whether it would seek damages from the state for its loss of operating revenue this summer. On the other side of the debate, Adirondack Recreational Trail Advocates President Joe Mercurio said he was still grappling with the decision. ARTA is a local group formed in 2010 to push for replacing the state-owned tracks with a trail. “Obviously I’m deeply disappointed,” said Mercurio, who lives in Saranac Lake. “If the judge’s decision is upheld, assuming this doesn’t go any further, then this will be a real blow and a loss to the Tri-Lakes community. In Politi’s hometown of Lake Placid, the government and business leaders who speak up tend to favor a trail over the train. “It’s unfortunate,” Politi added, “because the people of this community would like to be able to get on their bikes and go to Saranac Lake. I think it would be a popular use. I don’t think anybody wants the trains back — the minority do. Tupper Lakers have been split on the rail-trail debate, with some wanting passenger trains to return after a more-than-50-year absence — except for a brief run during and after the 1980 Winter Olympics — and others preferring to use the corridor for other types of transport, especially snowmobiling. Adirondack Machines shop owner Darwin Benware said snowmobilers need at least a foot of snow to drive over the tracks without damaging their sleds. He said the rails deter other snowmobilers from traveling to Tupper Lake to escape areas congested with other riders, such as Old Forge. “It would be nice if they were removed [the tracks] all the way to Old Forge,” Benware said. “That’s where most of my traffic comes from. 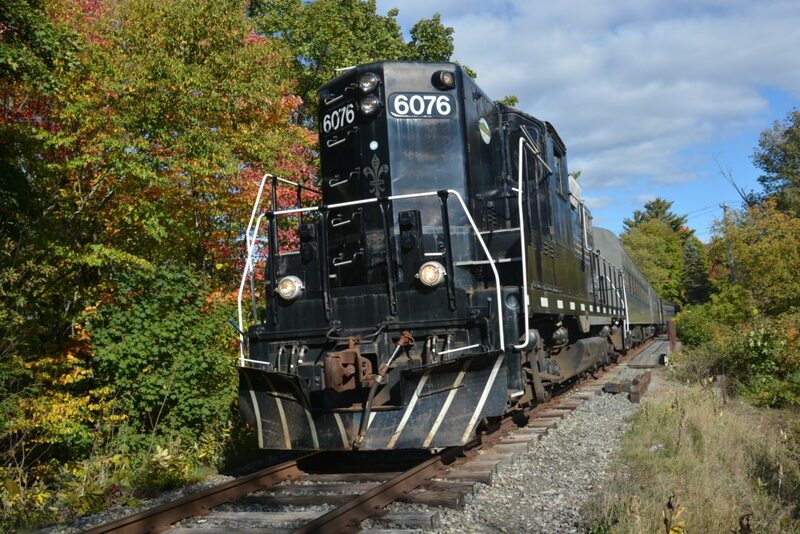 Village Mayor Paul Maroun said passenger trains would be a good form of mass transport, connecting three major Adirondack villages to downstate and the rest of the country. He has also supported a trail beside the rails, which state agencies said would not be feasible. Staff Writers Antonio Olivero and Aaron Cerbone contributed to this report.